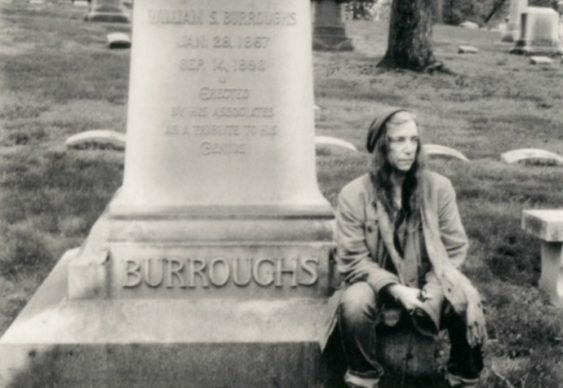 San Francisco Art Institute (SFAI) and kurimanzutto are honored to announce Wing, a one-week-only exhibition of photographs by international artist, writer, and musician Patti Smith. Presented from January 14–19, 2019, at the Diego Rivera Gallery at SFAI’s historic Chestnut Street campus, the exhibition features a selection of photographs centered on Smith’s reverence for fellow artists such as Frida Kahlo and Diego Rivera. The exhibition, which runs concurrently with the FOG Design+Art fair, is open and free to the public. This show focuses on Smith’s connection to the artistic movements she discovered during frequent travels to Mexico. Presented in the same space as Rivera’s 1931 fresco, The Making of a Fresco Showing the Building of a City, the exhibition sparks a direct dialogue between Smith’s imagery and the subjects of her intimate gaze. The Diego Rivera Gallery at San Francisco Art Institute is free and open to the public every day, 9 am – 7 pm. Please note: The gallery will be closed for a private event starting at noon on Thursday, January 17.